The efforts of a man from the Edmonton-area are giving a young chimpanzee who lived at an Iraqi zoo something most caged animals never get -- the chance to return to the wild. On Wednesday, Spencer Sekyer and Manno the chimp boarded a plane, en route to Kenya. 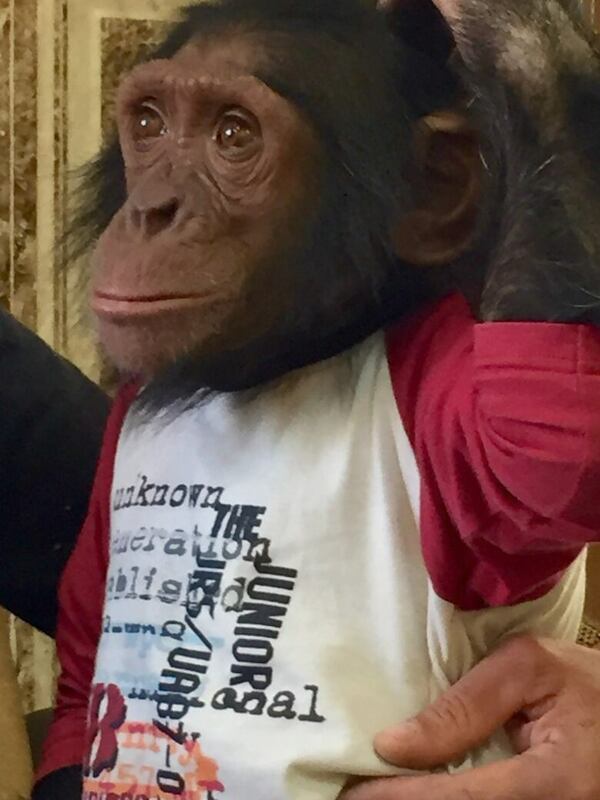 The efforts of a man from the Edmonton-area are giving a young chimpanzee who lived at an Iraqi zoo something most animals in captivity never get — the chance to return to the wild. On Tuesday, a custom-made crate carrying Manno, the four-year old ape, was loaded onto a plane in Erbil, Iraq, his soulful eyes peering out from a wire cage he could soon shed for good. Boarding the cargo hold with him was Spencer Sekyer, the Sherwood Park, Alta. teacher who made it happen, after vowing to free Manno years earlier. "This is the right thing and he's not meant to be here," Sekyer told CBC News Tuesday shortly after their reunion, noting Manno had grown bigger, stronger and more aggressive since they last met. It has been three years since Sekyer cared for Manno at the Duhok Zoo in Iraqi, Kurdistan where they played and cuddled. "Do you remember me?" 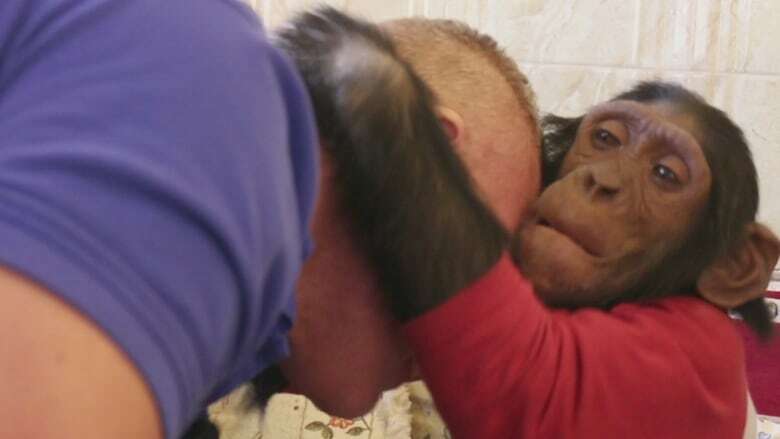 Sekyer gently asked Manno when they reunited at the zoo on Tuesday, stroking the ape's head before grunting loudly to announce his arrival in chimp language. It was bittersweet. Manno, dressed in a longer sleeved T-shirt and brightly-coloured tights, initially clung to the man who had preceded Sekyer as caregiver at the zoo. Later his wife and daughters bawled watching the chimp depart. "It was hard because you're tearing apart a family,' said Sekyer with a sigh. "But I also know we're doing the right thing for Manno and the family as well." But the more Sekyer and Manno interacted, their familiar ways returned, with Manno playfully wrapping his arms around Sekyer who planted kisses on the top of his head. During his stint volunteering at the zoo, Sekyer said Manno was loved and generally well cared for by staff. It concerned him, however, that Manno was not in his natural environment, socializing with other apes. Instead he slept in a pen no larger than a bird cage, sometimes taunted by zoo visitors who would try to make him smoke cigarettes. But what Sekyer feared most was that Manno would be confined to his cage as he grew older and became more dangerous, possibly being resold on the black market, euthanized or turning on his handlers. "As I left, I said, 'I'm going to free that chimp, I'm going to free Manno.' I couldn't leave him behind." Over the next three years, Sekyer contacted officials and organizations about Manno, who advocates believe was abducted from his family as a baby in central Africa and trafficked to the Middle East. In a pivotal moment, Sekyer shared his story with primatologist Jane Goodall at an event in Edmonton. 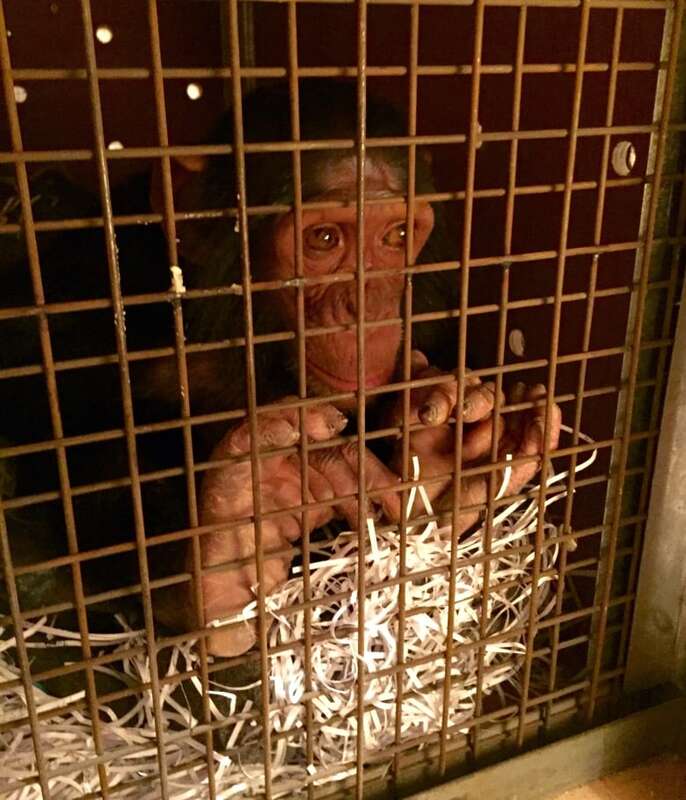 The encounter secured a new home for Manno at Sweetwaters Chimpanzee Sanctuary in Nanyuki, Kenya. He teamed up with Jason Mier, executive director of Animals Lebanon, who negotiated and orchestrated Manno's transfer. 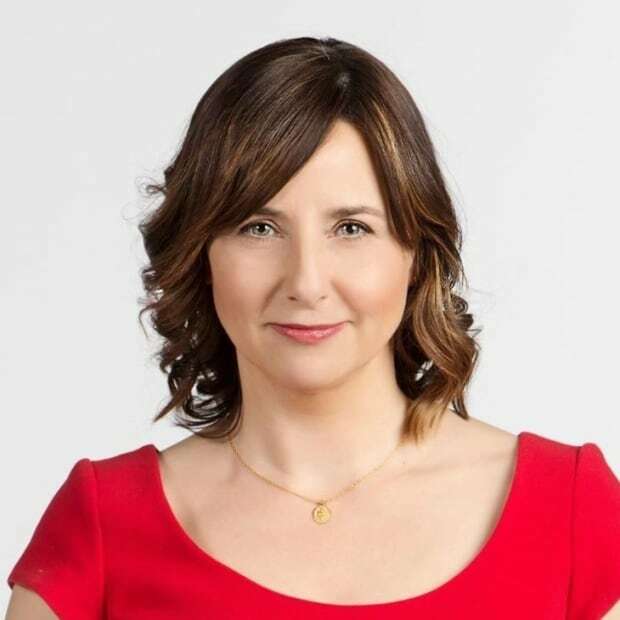 Contact with author and activist Cheryl Benard brought the ape's plight to the attention of Kurdish Prime Minister Nechirvan Barzani, ultimately securing his release. But when the day finally arrived on Tuesday, there were still many hurdles to overcome: a stalled vehicle that needed pushing, forgotten documents and unpaid flights, as well as a route taking them right past Mosul, and the offensive to retake the city from the Islamic State. Sekyer and Mier left the zoo caretaker family to say their goodbyes to Manno while they settled up the paperwork, even offering zoo staff assistance with other animals that appeared in need, including two limping lion cubs. "There are more animals that need help," Mier told CBC News, whose organization has rescued four chimps in Lebanon, making the country "ape free." He explained the circumstances of neglected animals in the region are largely due to ignorance that could be improved with more training and awareness. "This should be the start of something greater in this country." After their return from the zoo to a hotel in Erbil, Manno appeared to be accepting another massive change in his young, eventful life, becoming more affectionate, playful and calmer. "He'll kiss you through the cage and let you scratch and tickle him," Sekyer said, giving Manno's head a rub as he slept. When asked what he would tell Manno if he could, Sekyer paused. "You're going to be healthier, you're going to be freer. You're going to be allowed to be a chimp again." They are expected to arrive at the sanctuary in Kenya on Wednesday.